IMPORTANT: With the release of the IaaS functionality in Windows Azure, the Virtual Machine templates for BizTalk Server 2013 have been updated and no longer include Visual Studio 2012. Due to this, it is not currently possible to complete these lab activities as provided. We will update this space with more information as it is available. QuickLearn is pleased to announce the availability of two hands-on labs that you can run from within your BizTalk Server 2013 Beta virtual machines running on Windows Azure. 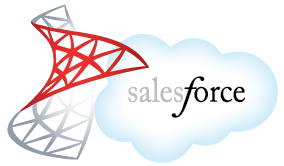 These labs, originally presented at the BizTalk Summit in December, will provide an early look at the new features coming with the BizTalk Server 2013 release, while demonstrating live integration with the Salesforce.com online CRM system. Create a Windows Azure Virtual Machine using the BizTalk Server 2013 Evaluation Template. All setup scripts assume that you are using the Evaluation template, and not the Standard or Enterprise editions. Start, and then Connect to the Windows Azure Virtual Machine once provisioned. In the setup wizard, type the user name and password you used for the account that you created when provisioning the virtual machine, and then click Next. Launching a QuickLearn Lab on Windows Azure from QuickLearn Training on Vimeo. posted another blog that talks about the future of BizTalk, check it out. BizTalk is Dead? Long Live BizTalk! The BizTalk Server team blog sneaked out an announcement yesterday that you might have missed. I caught it due to an RSS feed. BizTalk Server 2010 R2 is coming. Now the question is when, and a better question will they change the name, as they should to BizTalk 2011? We have a while to wait, no firm dates yet, but since it adds support for Windows Server 8 and SQL Server 2010 (codename Denali) which don’t have announced release dates yet either, that isn’t too much of a surprise. They are saying about six months after those products release. Support for Visual Studio 11 was also part of the announcement. It doesn’t sound at all earth shattering, more just a bit of a jiggle. It may calm some of the fears as they are frequently bandied about from the title of the article, that BizTalk is a dying breed. Rest assured that QuickLearn will be on the forefront of training for this new product as soon as a beta is available. In addition to support for the new platforms another point of interest is a change to licensing making it possible to provide BizTalk as a hosted service , and to transfer a license to a hosting provider. This is obviously a step in moving BizTalk into the cloud, a change that has long been planned. We’ll have to see what that means as to whether Microsoft will be a possible provider themselves (a la Office 365 and SharePoint online). Until next time, see you in the funny papers.